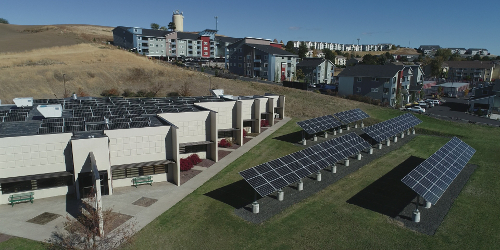 DESCRIPTION: In 2015, WSU became part of a U.S. Department of Energy (DOE)-sponsored project to research, develop and demonstrate technologies needed to create “smart” buildings, campuses and cities to better manage energy usage. 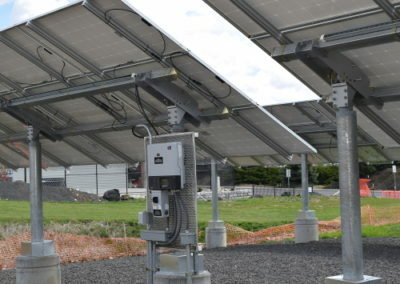 Led by Pacific Northwest National Laboratory (PNNL) and including the University of Washington (UW), the pioneering regional partnership brings the three campuses together to demonstrate transaction-based energy management for the first time, testing the large-scale use of transactive controls involving multiple buildings and devices. 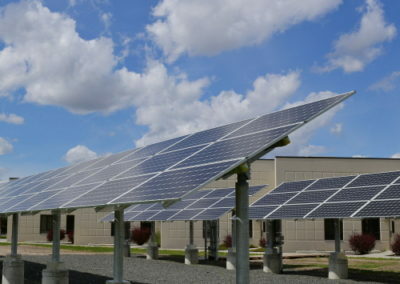 The transactive idea combines financial signals and control techniques to shift energy usage in devices, buildings and campuses. 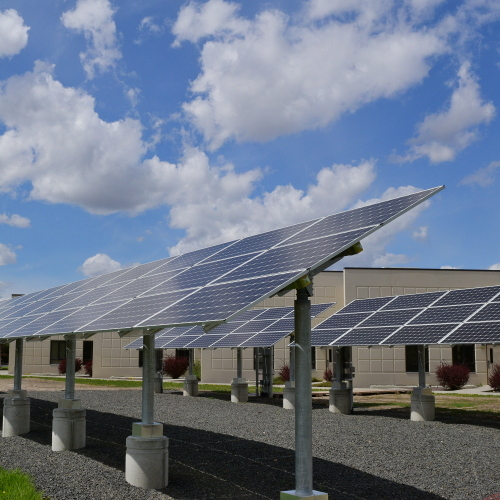 As part of the project, WSU researchers will install solar panels on the Pullman campus for the first time and integrate them into Pullman’s “Smart City’’ test bed and WSU’s microgrid system. 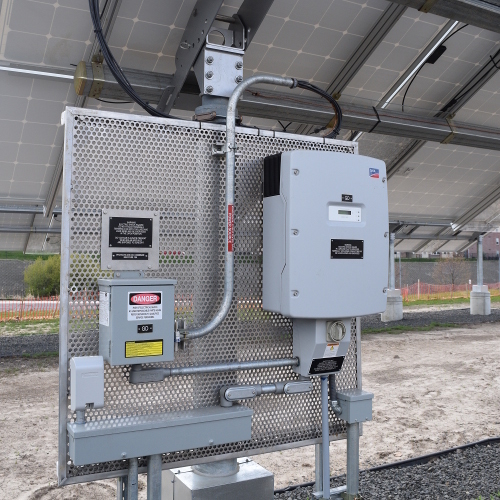 The WSU researchers will be showing how the WSU Pullman campus can power critical city infrastructure in the event of a power outage. 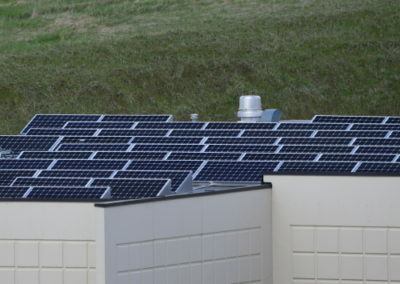 The solar array communicates automatically with generators at WSU as well as with a unique, one megawatt energy storage battery in Pullman. 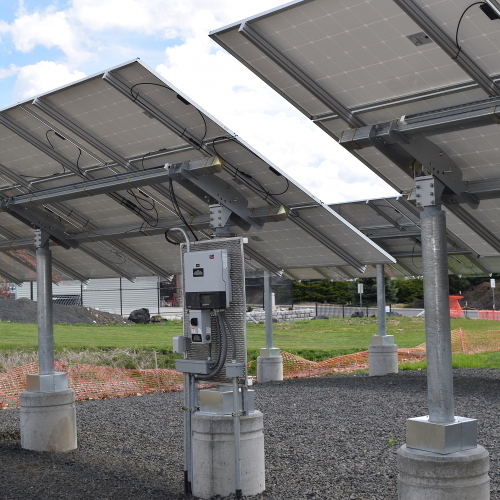 The campus system communicates automatically with electric meters at both the PNNL and UW campuses. 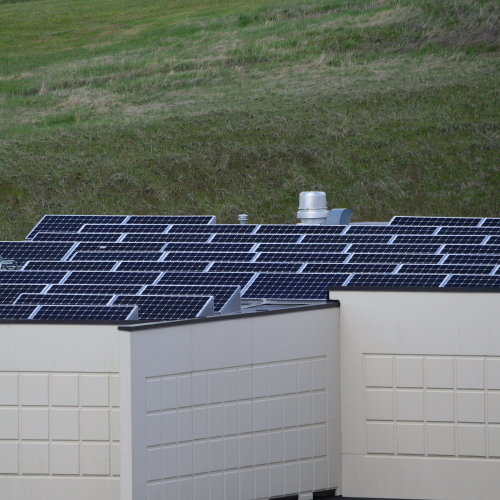 The solar array consists of a 33.66 kWdc rooftop mounted system, and a 48.96 kWdc ground mount system, which also includes a 6.1 kWdc student demonstration system. 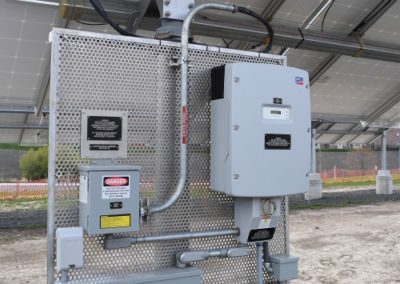 Installed system size was 82.62 kWdc with capacity for an additional 30.6 kWdc.